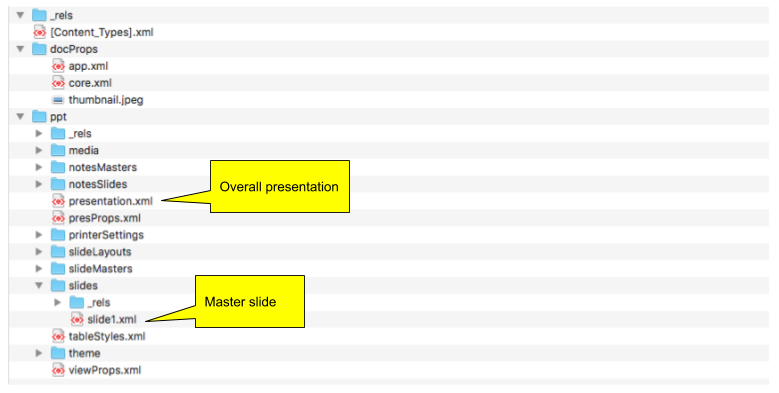 In Summer 2018 the ability to export an engagement/scenario to MS PowerPoint was introduced. In the past analysis had captured engagement to video, then included this video in a presentation. Hey, in the far distant past export video was a capability build into Debrief - though it as dropped since Debrief wasn't able to compress the videos, and they were huge. 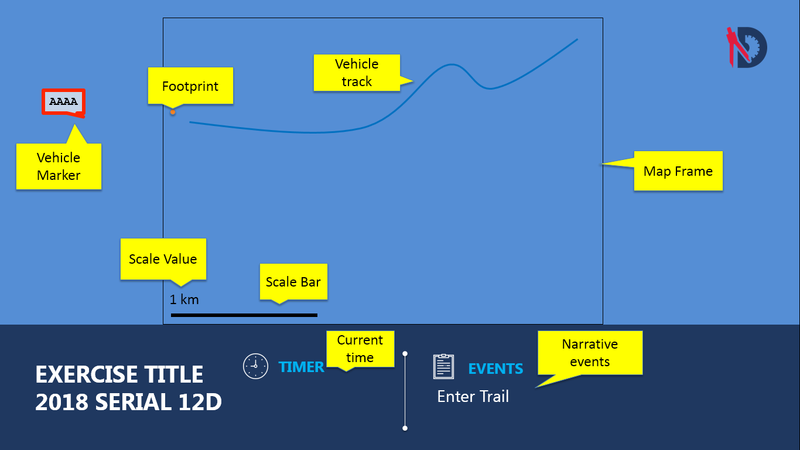 The new strategy involves capturing the screen coordinates of scenario participants while Debrief is playing through an engagement, then injecting them as an animation into a specially formatted donor PowerPoint file. This section will introduce the donor template file, and how to collate/maintain it. The use of this template allows an analyst's parent organisation to design a template that includes corporate branding, in order that the animated engagement tidily integrates into an outer presentation. 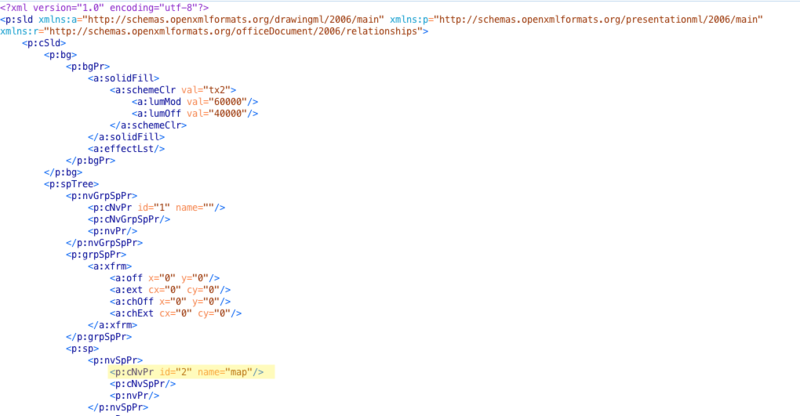 Work through each required element, naming the relevant xml element using the ids listed earlier. Finding the relevant elements in the XML file can be made easier by inserting recognisable blocks (Trumpton) of text into the element using PowerPoint, then looking for that text in the XML editor. Note the Map element dimensions attribute in the above screenshot. Once a master template has been specified, the map element dimensions are retrieved. This is to allow the analyst to size the Debrief plot to the same dimensions, which will ensure the highest quality animated export - since the Debrief Plot and the target rectangular frame will be of identical proportions.